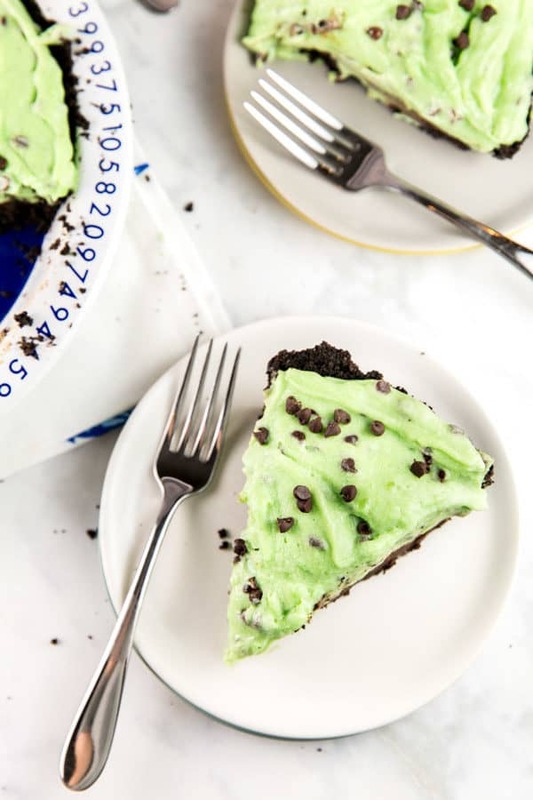 This No Bake Mint Chocolate Chip Pie is full of a homemade minty custard, poured on top of a thick layer of chocolate ganache and an oreo cookie crust. The hardest part about making this? Waiting for everything to chill before cutting into a slice! Friends, we are on a roll with the Pie of the Month series. Second week of January? Oatmeal Molasses Pie recipe shared. February 1st? No Bake Nutella Pie recipe shared. March 1st? 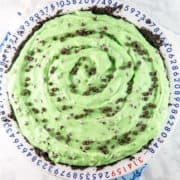 No Bake Mint Chocolate Chip Pie recipe shared. I’m not sure I’ve ever been so on top of anything in my life. A whole month to procrastinate, and I’m sharing pie recipes at the very beginning of the month? Who am I? Also, while we’re talking about pie in general… am I the only one getting impatient for summer fruit pies? 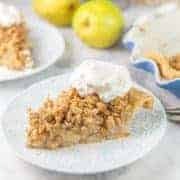 No bake pies are nice and easy and come in dozens of different flavors, but I’m ready for classic fruit pies. Blueberry. Peach. Rhubarb. Cherry. Come on, summer produce! Enough summer pie day dreaming… let’s talk about this No Bake Mint Chocolate Chip Pie. This was actually the perfect double-dipping pie. Plus, I love mint chocolate chip — this mintiest mint chocolate chip ice cream is my favorite dessert here on Bunsen Burner Bakery. What I do not love, however? Many no bake pies, including most recipes I came across for mint chocolate chip pies, use cream cheese as the base. Nope. Nada. No thank you. I am not a cream cheese dessert person. Cream cheese belongs on my bagels, not in my pies. So instead of a cream cheese pie, we’re going with a rich, thick, entirely homemade custard. Think: traditional diner style pie. Like a banana cream pie or coconut cream pie… except mint chocolate chip cream. A smooth homemade minty custard, not entirely unlike the custard base for my favorite ice cream. We’ll fold in some whipped cream to lighten things up a little. Oh, and we’ll pour it all over a thick, fudgy layer of chocolate ganache, contained in a homemade oreo crust. Because, obviously. Mint Chocolate Chip Pie. Perfect for St. Patrick’s Day, Eagles games (or you know, Jets or Celtics or Packers…), or anytime you need a little extra mint chocolate chip in your life. Which is at least once a month, if you ask me. 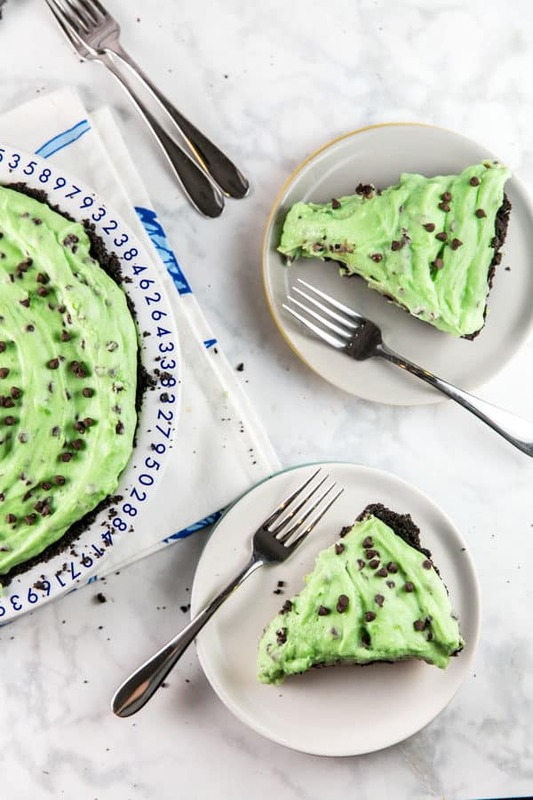 No Bake Mint Chocolate Chip Pie is full of a homemade minty custard, poured on top of a thick layer of chocolate ganache and an oreo cookie crust. Prepare Oreo cookie crust according to recipe. Set aside. In a medium saucepan, combine 3/4 cup sugar, flour, and salt. Gradually pour in the milk, whisking continuously. Place the saucepan over medium heat and cook, stirring occasionally, until the mixture thickens and just begins to boil. Cook an additional 2 minutes, stirring. Place the egg yolks in a small bowl. Add ~1/4 cup of the custard mixture and mix to temper the eggs. Pour the egg mixture back into the saucepan and cook an additional 2 minutes, stirring consistently. Remove from heat and add in the butter, vanilla extract, and peppermint extract. Set the mixture aside to cool to room temperature. While custard cools, prepare the ganache layer. Heat together 1 cup of chocolate chips and 1/2 cup of the heavy cream in a small saucepan over medium heat until smooth and melted. Let the ganache cool for 10 minutes, then pour into the oreo cookie crust. Chill the ganache and crust in the refrigerator for 1 hour. Once custard has cooled to room temperature, whip together the remaining 1 1/2 cups heavy cream and 2 tablespoons sugar using an electric mixer or immersion blender until soft peaks form. Gently fold the whipped cream and remaining 1 cup of miniature chocolate chips into the custard layer. Pour the custard over the cooled ganache and top with additional miniature chocolate chips. Refrigerate at least 1 to 2 additional hours before cutting. Pie can be stored in the refrigerator for up to 4 days. I absolutely love anything chocolate and mint! I bet a bit of matcha would do the green trick without having to use food coloring, I’m going to give that a try! YUMMY! No-bake desserts are always a welcome addition. It’s nice to not always have to fire up the oven when you want to enjoy dessert. The color here is so fun, to boot! This sounds wonderful and would be prefect for St. Patrick Day. Love that it’s no bake , so simple and easy. Saving for later. Ummm….can we talk about the cuteness of that pie plate?! That is absolutely fantastic, perfect for Pi Day coming up! Also, my husband is nuts for mint chocolate chip so I think this might just have to be in the works for the holiday! It looks so light and fluffy! Haha, thanks! I have a few other “prettier” pie plates but I always get so many comments on this one. Math nerd for life over here! 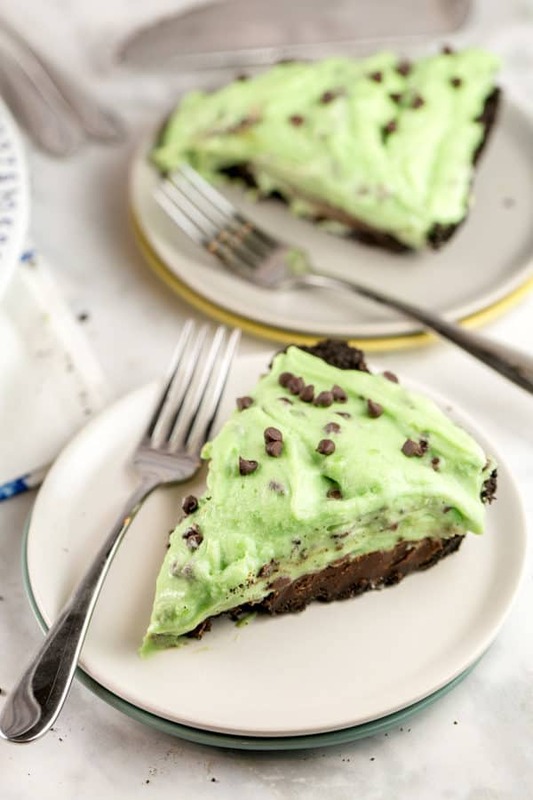 This looks like chocolate chip mint ice cream turned into a pie and I want a slice now! What a great idea to make your own custard! I bet it IS an improvement on the cream cheese version! 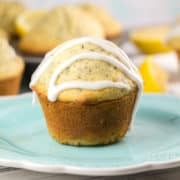 I like what you did here and I bet this is a great dessert to have on hand for many types of occasions! 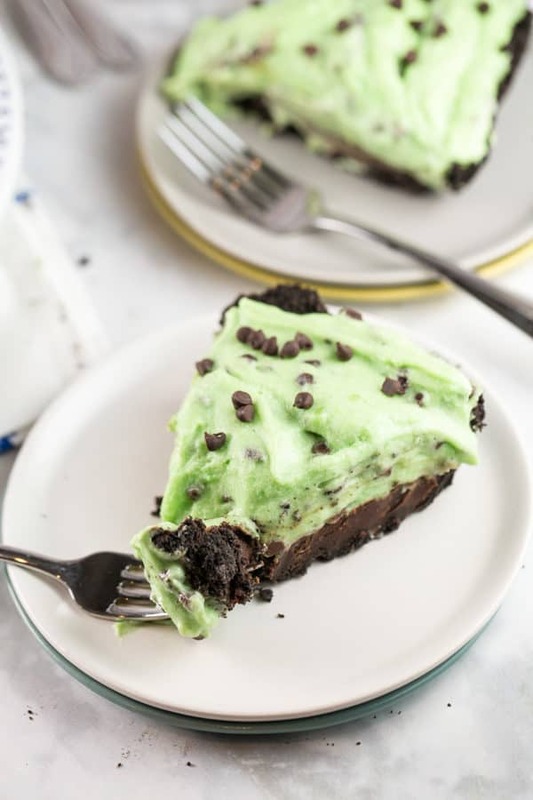 I love mint chocolate chip too and this pie is RIGHT up my ally! 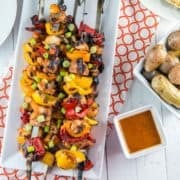 My daughter would also love this week treat! I too would have a hard time being patient for this pie! Oh my goodness, this is a pie that I have got to try! That layer of chocolate ganache?! YUM. And I’m all for mint and chocolate together. Pie of the month posts are my favorite on your blog! 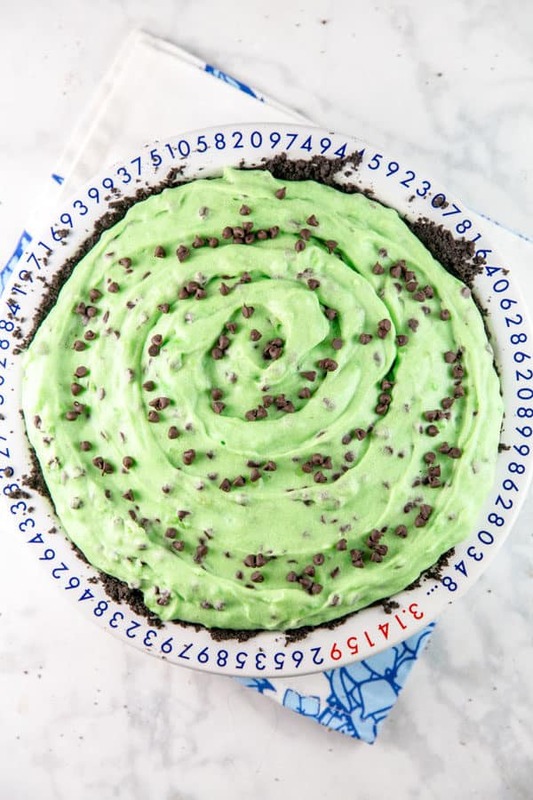 This pie sounds like a great idea for St.Patrick’s day! Love the chocolate peppermint combo and your styling looks beautiful! 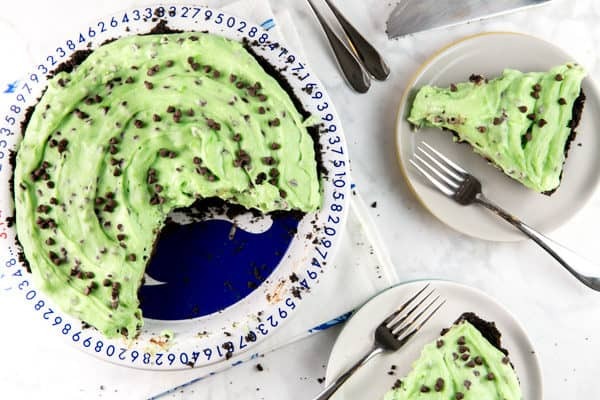 I am a mint chocolate chip fantatic and this pie looks like a dream come true! Thanks for sharing the recipe.